If you have experienced software defined radio (SDR) using the ubiquitous RTL SDR dongles, you are missing out on half of it. While those SDRs are inexpensive, they only receive. The next step is to transmit. [Corrosive] shows how he uses DATV Express along with a Lime SDR or a Pluto (the evaluation device from Analog Devices) to transmit video. He shows how to set it all up in the context of ham radio. An earlier video shows how to receive the signal using an SDR and some Windows software. The receiver will work with an RTL SDR or a HackRF board, too. You can see both videos, below. The DATV Express software has plenty of options and since SDR if frequency agile, you ought to be able to use this on any frequency (within the SDR range) that you are allowed to use. At the end, he mentions that to really put these on the air you will want a filter and amplifier since the output is a bit raw and low powered. A team at UNC Charlotte has been working on an autonomous vehicle to drag a cart that has sensing equipment. Starting with a stock Honda ATV, different systems were added to give a Renesas processor control of the ATV. A model airplane receiver was attached to the Renesas to give remote control for Phase 1 of the project. Basically they’ve turned the ATV into a giant remote controlled car. Later revisions will incorporate LIDAR, cameras, and multiple GPS units so the ATV can autonomously traverse most terrain with a high level of accuracy. Path planning will become a large part of the project at that point. We’ve been following Boxee (not Boxxy) since its public alpha debut last Summer. We were captivated by it. Who expected a project built off of code originally intended for hacked Xboxes would be shown on NBC’s Today Show? We’ve been promised internet connected set top boxes for years, but it seems like Boxee is here to stay for two solid reasons: 1. It’s free. 2. 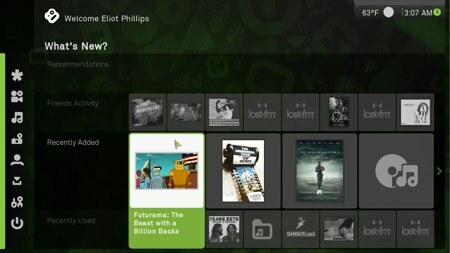 Major content providers have finally figured out how to publish online and Boxee supports them. You can replace your network television with on demand content from Hulu, ABC, and the like. One of the most affordable platforms currently supported by Boxee is the Apple TV. Lifehacker has a guide for installing Boxee on an Apple TV. You prepare a USB flash drive that is then used to patch the stock firmware. Once installed you can take advantage fun features like downloading torrents directly to the box. We heard some fear mongering that Apple had released Apple TV firmware 2.3 to break Boxee and XBMC. It certainly was a side effect of the upgrade, but that doesn’t matter now since a new version of ATV USB Creator has been released to work with the new firmware. So, everything is essentially back to normal for the two media center programs. Boxee, the social XBMC, is now easy to install on your Apple TV. We first covered Boxee in June when the alpha was released. It’s great to see how much the project has advanced to this point. To install on the Apple TV, you first download a USB “patchstick” creator. The program puts a mac partition on the drive and copies over the necessary files. You reboot the Apple TV with the stick installed and it patches in both Boxee and XBMC. When you restart the the device it will have two new menu items and the rest of the system will be intact. [Dave Mathews] shows the entire process in the video above. He notes that they’re currently not taking advantage of the GPU, so 1080p is a little too much for the system.